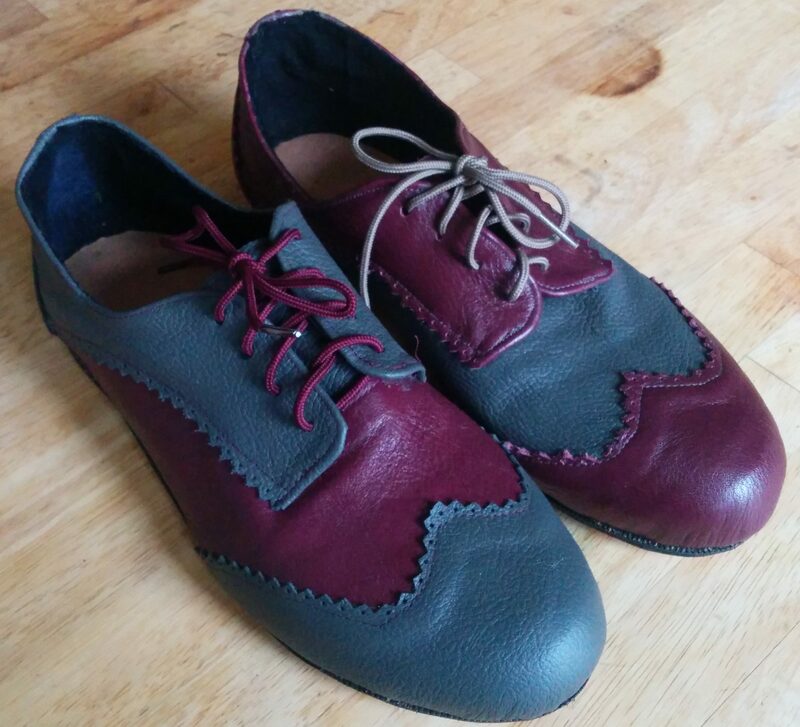 I am quite intrigued by shoes and shoemaking. We have a shoemaker at Upper Canada Village, but I have rarely visited his building. The way our breaks work, there is precious little time to visit other buildings, so you would have to go down on your days off to see anything. I hadn’t been in the woollen mill before I started in there. I had only cleaned and put the tenant farm to bed for the winter, never visited it while it was being interpreted, before I became a cook. The shoemaker before Peter, the current one (who started a decade ago with me), was a woman. She had to dress in drag because it wasn’t really a woman’s thing in the 1860s apparently. I am a sucker for craft classes and I found one at the Art and Sole Academy in Toronto. The woman who runs it is excellent. She keeps the class size down to 4 people so she can guide everyone through the process of drafting your pattern and creating your shoes. Because I am me, I decided to make a non pair, so they are mirror images of each other. I need to find a grey shoelace for the one shoe, but she didn’t have any and I am not a shopper by any stretch of the imagination, so for now the beige will have to do. I think they worked out pretty well for a first effort. I am going to take another class in the new year called Classic Flats. I am in the market for shoe lasts right now. This entry was posted in Uncategorized and tagged Art and Sole Academy on December 6, 2016 by gillianknitter.